This week for Friday Fun, I’m going to let you tell me the jokes for once! They better be at least, if not more, funny than mine. 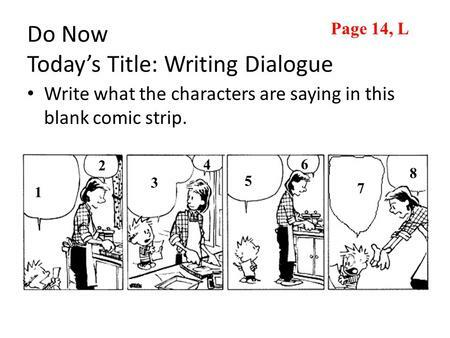 It’s “Calvin and Hobbes,” so really this should be a piece of cake. If it’s creative enough, I’ll post the one I like the most next week! This is a great exercise. Give it a shot if you have a few minutes, or are trying to warm-up for your next writing session.